Abstract: Information overload is a severe challenge, both on the Web and on corporate intranets. In order to be productive, organizations and their employees depend on finding information that meets their current demands. Traditional courses or learning management systems are not the right tools, since tasks are short term and frequently shifting. In the paper at hand, we suggest to use Semantic Wikis for the organized provision and efficient retrieval of information, since they have a structured body of information. First, situation and challenges are outlined, informal learning as the central form of learning in organisational context and the social semantic web are introduced, and finally a scenario is given. 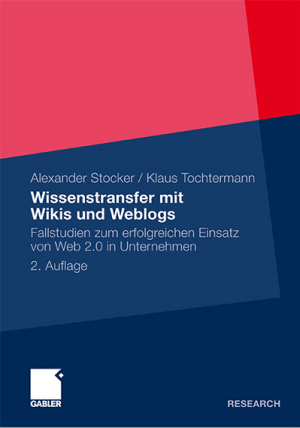 Zitat: Granitzer, Gisela; Stocker, Alexander; Höfler, Patrick, Informal Learning with Semantic Wikis in Enterprises: A Pragmatic Approach, in: Proceedings of ED-MEDIA – World Conference on Educational Multimedia, Hypermedia & Telekommunications, Vienna, 2008.